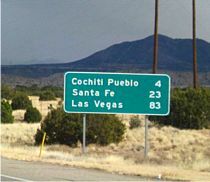 The Loretto Chapel is located at the end of the Old Santa Fe Trail and is legendary for its “miraculous staircase.” I first heard the story on an episode of Unsolved Mysteries but I had completely forgot that it was located in Santa Fe until I arrived and was seeking out the must see places. 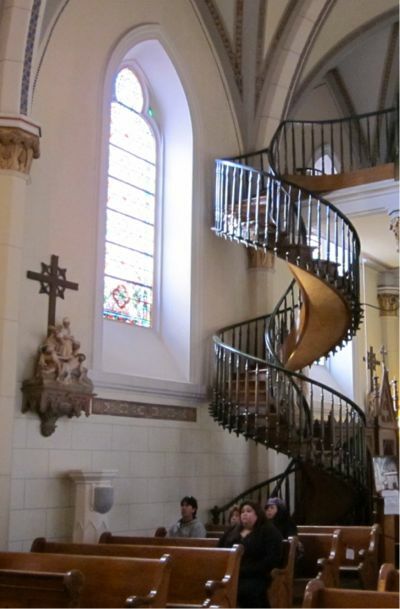 I’ve traveled around the world and visited the great cathedrals of Europe but this spiral staircase in a little chapel in a small Southwestern town is just as memorable as Chagall’s stained glass windows at Reims Cathedral or the flying buttresses of Notre Dame which is why it’s number one on my list of must see places in Santa Fe. 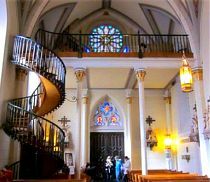 There are actually two mysteries that surround the spiral staircase in the Loretto Chapel. 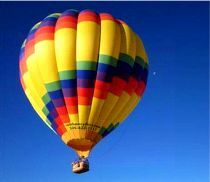 The first is the identity of the builder of the staircase and the second is the physics of its construction. 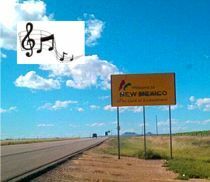 The problem that paved the way for this story was that when the Loretto Chapel was completed in 1878, it was built with no way to access the choir loft that was located twenty feet above the sanctuary. Heck of an oversight if you ask me. There were many carpenters called in to address the issue, but they seemed to all conclude the same thing. 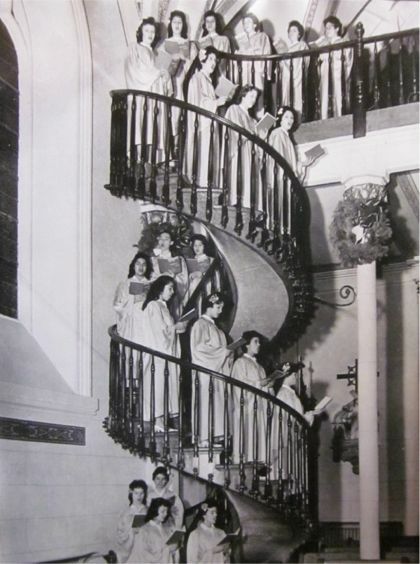 The best way to access the choir loft was to use a ladder as a staircase so as not to interfere with the interior space of the small Chapel. Now you can see how this may not have set well with the Sisters of Loretto Chapel, because it’s not easy to climb a ladder when you're wearing a nun habit, mind you. For goodness sakes, it's not that easy to climb a ladder wearing blue jeans for that matter. So the sisters did what God loving nuns do – they got down on their knees and prayed for a solution. After nine days of praying, a man appeared at the Chapel with a donkey and a toolbox looking for work. He started right to work on a circular staircase and when it was completed six months later, the carpenter disappeared without being paid. A search for the man commenced by placing an ad in the local paper because the Sisters wanted to compensate the carpenter and thank him for his work. However, there was no trace of him and some concluded that he was something of a saint or an angel having come in answer to the sisters' prayers. Whoever the carpenter was, he built a design that was not only innovative for the time, but still puzzles experts today. The spiral stairway is twenty feet feet high, has no center support and was assembled without nails (wooden pegs were used). 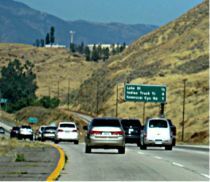 It has a total of 33 steps and makes two complete 360 degree turns. 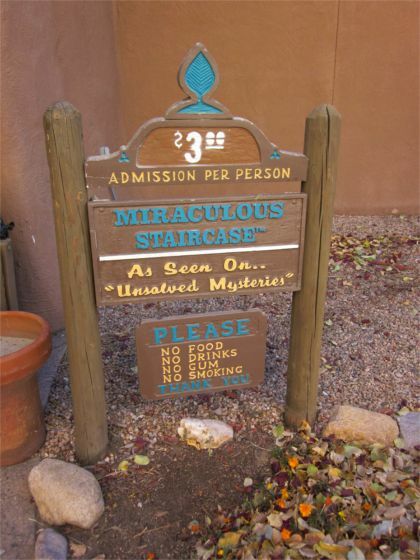 Over the years, thousands of people have flocked to the Loretto Chapel to see the Miraculous Staircase. 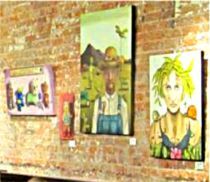 The story of the staircase has been told in a made for television movie "The Staircase," as well as on Good Morning America, Ripley's Believe It Or Not, Unsolved Mysteries, National Geographic, Explain the Unknown, Discovery, and Burt Wolf Travels & Traditions, to name just a few. 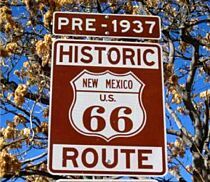 The Miraculous Staircase is also regarded as one of the Seven Wonders of New Mexico. 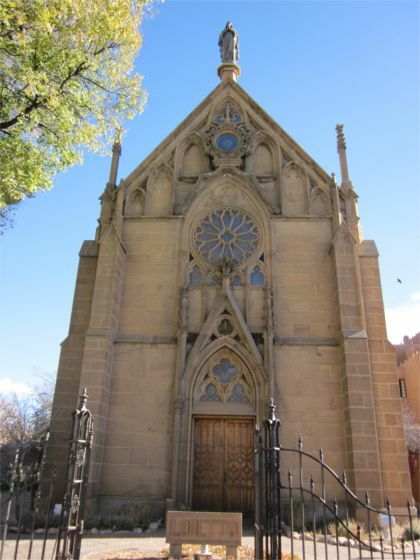 The Loretto Chapel is also often used for weddings and when I was there in November, I saw a bride walk down the aisle of the chapel through open doors. The chapel was beautifully illuminated with candles at sunset. If you’re looking for a unique wedding location, this is a romantic spot. Do be aware that the chapel may close early to accommodate weddings. 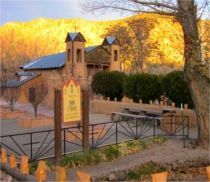 The Loretto Chapel is located at 207 Old Santa Fe Trail, Santa Fe, NM 87501 and is open Monday through Saturday from 9am to 6pm in the Summer and 9am to 5pm in the Winter. The chapel is open on Sundays from 10:30am to 5pm throughout the year. 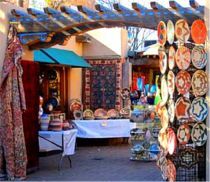 If you’re visiting Santa Fe, check out the five places you must visit and my Santa Fe Visitor Guide. 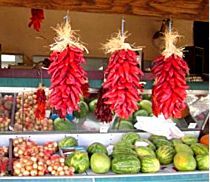 There are some great day trips that are easy to get to from Santa Fe and make sure you that if you have time, you explore as much as you can in the state of New Mexico.